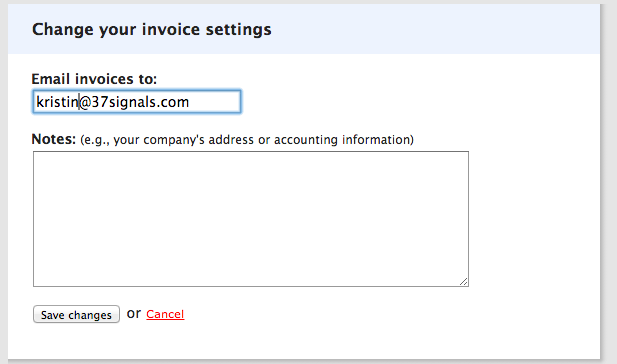 Customize your invoice to include your company name and address or other important information. Add another recipient to make sure that billing is handled smoothly! And click the link to make your updates. Enter the new email address or your custom info. Hit save, and you're all set! We'll still send an invoice to the account owner each month.